Lingering odors can be a real concern. It can be increasingly uncomfortable for guest or residents if a mild odor within your home is left to become a serious one over time. The difference between a normal clean and professional stain and odor removal service is vast. 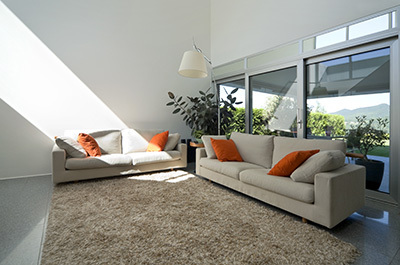 One of the most common surfaces within the house that tends to bread odor issues is the carpet. Spongy thick weave carpets are particularly capable of harboring dirt and substances that can release strong smells over time. If this is a regular problem for you, one of your options would be to replace your carpet once or twice a year to keep it fresh. This can be a feasible idea with cheaper rugs and smaller surfaces, but replacing your entire carpeted floor space this often is not economical at all. Having a professional clean is far more affordable. An expert will know exactly which techniques to use to suit your specific type of carpet and will be able to execute the service without causing any damage. Many people will not realize how important it is to ensure a clean is as thorough as possible, if you want odors to be removed successfully. Complete odor removal is impossible unless you get rid of its source. The source of all odors is bacteria. The smell that is released is the bacteria's defense mechanism. So if something smells bad, it's a clear indication that bacteria is growing in that area. We use specialist equipment to ensure we get right into the structure of your upholstery and remove as much of the bacteria causing the odor as possible. Your regular clean with standard domestic hoovers, cleaning powders and sprays will only achieve a temporary impact on the odors you have. You might find after a really good clean that the smell within your rooms is improved significantly. But this is likely to last only a few days before the odors return just as strong as they were before. If this is the case for you, a professional clean could prove a revelation for you. We use tailor made solutions that are specifically engineered to tackle certain issues. Whether it's a problem created by pets, children, vomit, smoke or anything else, we have an appropriate proven option to deal with it effectively.